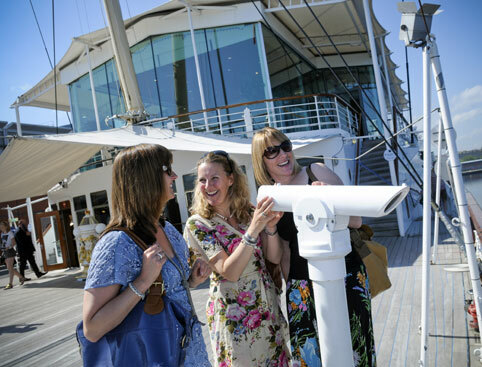 Rated “UK’s No.1 Attraction” on TripAdvisor and “Scotland’s Best Visitor Attraction” by VisitScotland, the Royal Yacht Britannia is one of Edinburgh’s most famous attractions! 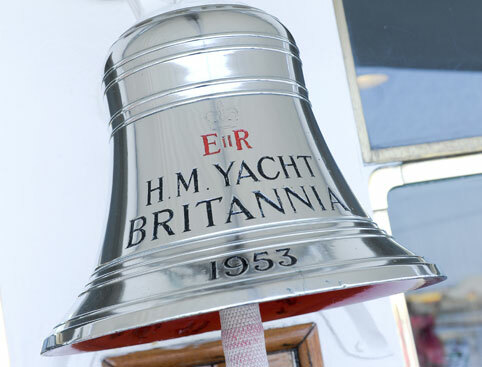 The Royal Yacht Britannia was home to Her Majesty The Queen and the Royal Family for over 40 years, sailing over 1 million miles around the world. 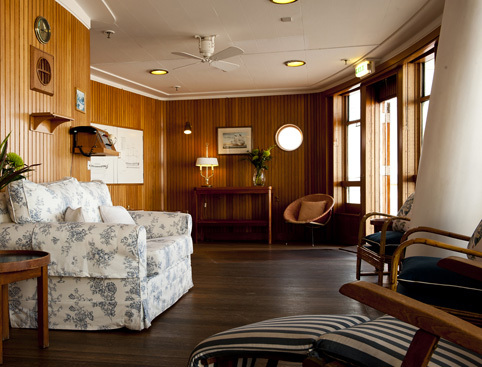 Follow in the footsteps of world leaders including Sir Winston Churchill, Nelson Mandela and Rajiv Gandhi, and discover what life was like on board this floating royal residence. Before you even step on board, you can learn a little about the history of this famous ship at Britannia's visitor centre in Ocean Terminal. An audio handset tour gives you all the information, facts and fascinating stories, so you can spend as long as you like exploring Britannia! There’s always a surprise on-board, like a Rolls-Royce Phantom V that used to travel on the ship! You just can’t miss a visit to the ship’s opulent tea rooms, with a choice of teas from around the world, coffees supplied by Brodies of Edinburgh and alcoholic drinks if you fancy something stronger! They also offer a delicious choice of cakes and scones, plus lots of traditional Scottish dishes. *Pre-book and skip the queues! By pre-booking your tickets you can jump the ticket queues at the entrance to the visitor centre and exhibition! Please note that during busy periods there may still be some queueing in order to collect your audio guide and board the ship. During special offer periods, skip the line is not available. 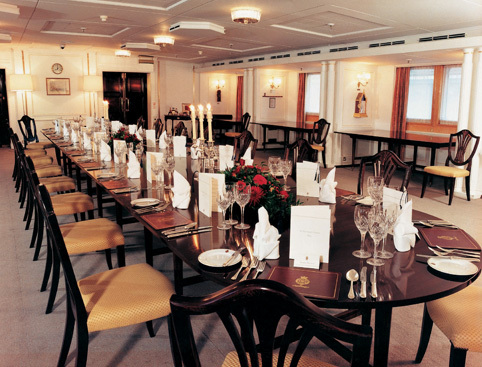 Address: The Royal Yacht Britannia, Ocean Terminal, Leith, Edinburgh EH6 6JJ. By Train: The nearest train station to Britannia is Edinburgh Waverley. By Bus: Lothian Buses run frequent service buses to Ocean Terminal from the city centre on routes 11,22 and 35. By Car: Follow road signs to Leith/North Edinburgh and brown tourist signs for Britannia. Parking: There is free parking at Ocean Terminal. Blue car park level E is the closest to Britannia. A British Sign Language tablet and Braille script for deaf and blind visitors are also available. There is full wheelchair access in both the Visitor’s Centre and on-board Britannia. The tour route is fully accessible with lifts and ramps throughout. Souvenir gift shop: Pick up a souvenir of your visit! 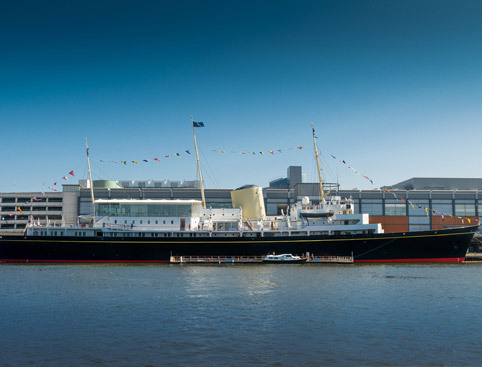 Royal Yacht Britannia Edinburgh is rated 5.0 out of 5 by 4. Rated 5 out of 5 by YSEEA from Nice and interesting piece of History! We had a great time! Too bad this beauty is not used anymore.